I can't believe it has been nearly a month since my last blog post. Don't worry nothing life threatening happened to me the past few weeks. I was basically stuck with loads of paperwork, 2-months of paperwork that I set aside during my PhD exam. I didn't realize that I have that much work to do, so food blogging was set aside for a while, seriously I didn't expect to be that long. Hopefully, I didn't desert you viewers for too long (probably I did). I have lots of blog catching up to do. For all of you who were waiting impatiently of the results of my PhD exam, I successfully passed it. After 8 months from the submission of my thesis, I finally graduated and received my Master degree. Some of you might already know the news, I will be heading to UK to give a talk about my research at a conference in Cambridge University in mid-July. Afterwards, I will travel around UK until the end of July. I will be meeting some food bloggers. If you live in UK, I would gladly meet you, just send me an e-mail. If you're busy person like me and don't feel doing much on the stove. This Thai-inspired dish is something you do want to make on your lazy-to-cook days. All you need is to mix all the ingredients for the sauce in a bowl and brush it over the chicken. Leave it in the oven until fully cooked. Remember: a balance of sweet, sour, salty and spicy flavours is key to a great Thai dish. 1. In a bowl, combine all ingredients except for the chicken. 2. Arrange chicken in a lightly oiled baking pan. 3. Brush sauce over chicken. Bake for 50-55 mins until golden brown and juices run clear when pierced with a fork. Simply inviting and delicious peanut butter glazed chicken,makes me drool..
Congratulations to you Victor! Talk at Cambridge U, this is awesome! And your dish look simple but sound so good. Welcome back and Congrats! You are great! I love easy food too as I am always swamped with paper works at work.. Thanks for the wonderful recipe! Your chicken is absolutely something I would adore. And Congrats on the academic achievements. Congratulations, Victor! Terrific achievements. Delicious chicken, such great flavors. Congratulations, Victor! That is a great achievement! Wish you success in your future undertakings! Your hoisin chicken looks really delicious! I could just eat it on its own without any rice! Thanks for sharing! Congratulation, Victor! And have fun with your traveling. I like your idea of using Hoisin sauce plus peanut butter for chicken seasoning. i thought you went holidaying in uk, so it's happening yet. Congratulations, master victor! are you going to pursue your studies after this? more celebrations to come! your chicken looks mouthwatering. I notice that a lot of westerners use peanut butter in their cooking too, must be good! the only one i can think of now of what we have is chicken satay or stir fry beef with satay sauce. So happy to hear of your PhD results! Congrats and hope you have fun in the UK! Congratulations! Lots of work=Success. 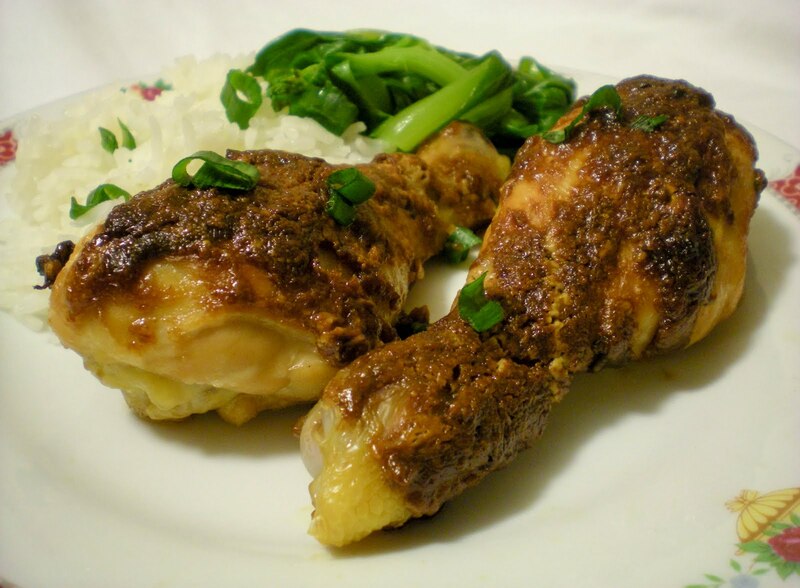 Thank you for this recipe; we love thai dishes and this one looks amazing! Have a wonderful time in the UK. Great news and congratulations! Your time in the UK will be a wonderful celebrations too. Your chicken dish looks delicious! I love those flavors. Now I am totally intrigued with the glaze mix of hoisin and peanut butter. Bet those chicken legs have tasted marvelously! Enjoy your time in UK! The chicken looks amazing! 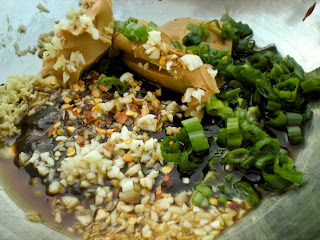 Love hoisin! The chicken looks amazing. Congrats on passing your exam and getting your masters degree! Congratulations Victor! so good to hear you successful and talk in conference brilliant have a great time at conference. chicken looks fantastic!! 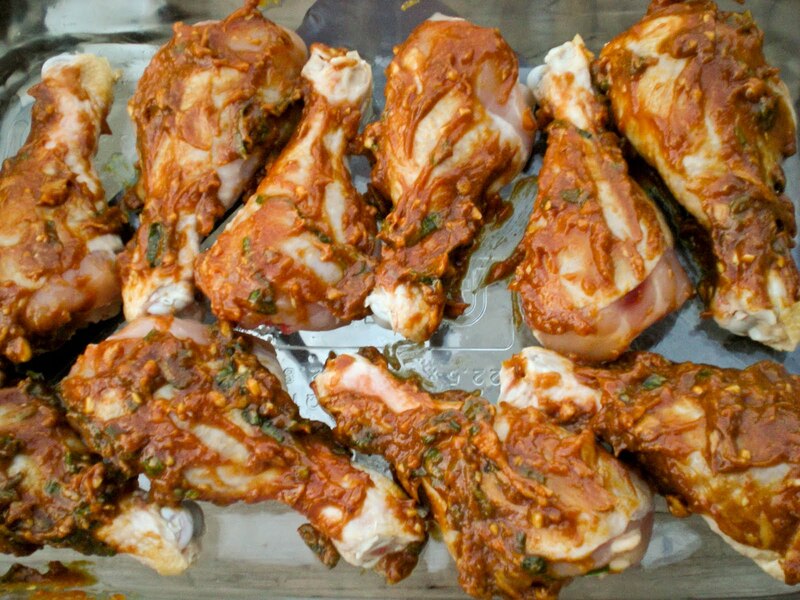 This drumsticks look so delicious I will definitely try the recipe. Congratulation Victor and wish you all success for your UK tour! This dish of yours is just delicious! Congrats, Dr. Victor! Haven't seen you on my comment list for a while. Come by and check out the easiest fudge recipe in the world! 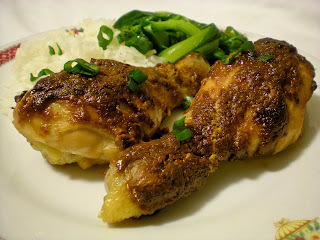 This recipe of yours looks amazing...think my little kiddos would like it or is it too spicy? I used this recipe as the basis for a tofu stirfry (which turned out splendidly). Thanks for the inspiration!